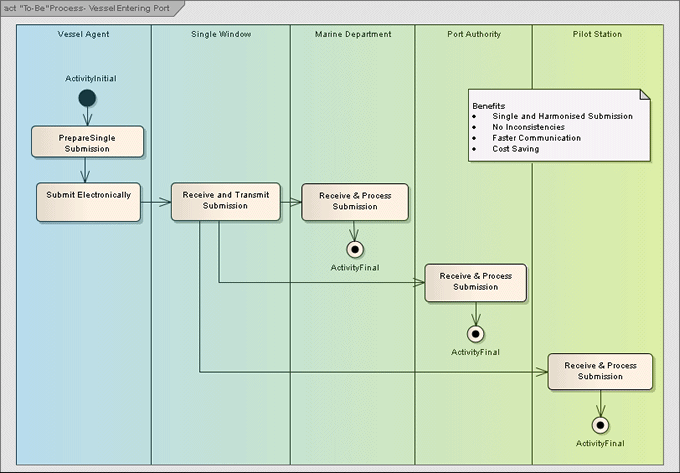 The following illustrations provide examples of deliverables from three stages of the Business Process Analysis (BPA). A fully worked example based on analysis of the export of jasmine rice from Thailand to the United States may be found in the annex to the Business Process Analysis Guide to Simplify Trade Procedures published by UN/ESCAP. The example of a vessel entering port is based on a material presented by Dr Somnuk Kertho, Kasetsart University, Thailand at a UNESCAP-UNECE seminar on Single Window and Data Harmonization. 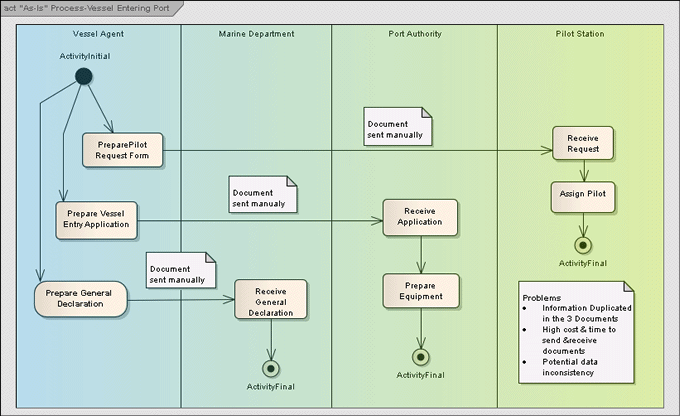 It provides a simple illustration of an As-Is process based on separate paper communication to three parties in the port, and the To-Be process using electronic communication through a Single Window infrastructure and a harmonized data format.